Hand Rub Hash is a simple and easy way to make hashish, but it is a horridly inefficient and wasteful way to make hash. All you need to make hand rub hashish are a good set of hands, adequate cannabis buds, and the desire to make it happen. Most of the thc resin falls to the ground or becomes lost deep within the buds or sticks to the foliage and leaf matter. Overall hand rubbed hash is lower in quality and contains more bedris than sieved or water-extracted hash. Making hash using the hand rubbing method is most common in the Himalayan Foothill regions of Nepal, India, and Kashmir where “charas” (the indian word for [hand rubbed] hash) are fairly common. 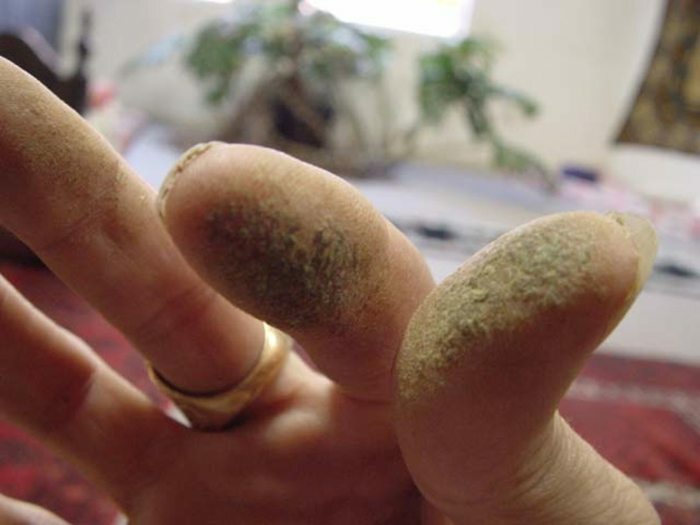 Most small-scale and commercial cannabis growers collect the litte bit of hash from their hands and tools during the manicuring and trimming stage of marijuana growing. This kind of hash is the closest most marijuana cultivators will ever experience. The best marijuana plants used in hand rub hash making are very sticky & resinous which causes your hand to become covered in resin. You want to make sure that the resin can easily be rolled into little balls to remove from hands. Hand Rubbed Hash is collected from healthy, strong, mature marijuana plants and buds with rich green color leaves. However, some large leaves may already have started to turn yellow. Make sure to remove any of the brown color, crisp, burnt or dried leaves before rubbing. Cannabis plants are very strong and sometimes can take vigorous but not abusive rubbing with your hands. Once you have collected as much of the thc resin glands on your hands, you want to make sure that nothing else or any debris gets mixed in with the resin. This helos ensure the cleanest, purest hash possible. Once you have the cannabis plants, trimmings and sticky buds, Slowly move your hands up from the bud, continually rubbing back and forth. Rub your palms and fingers in between resin covered flower clusters so they come in contact with as much resin as possible. Each branch should be rubbed 20-30 seconds or more. After rubbing a few branches, you settle into the intoxicating, hypnotic rhythm. Aromatic fragrances are released as you rub the buds. The resin glands sticks to hands slowly at first, but once they are covered with a light sheen of resin, the accumulation process speeds. 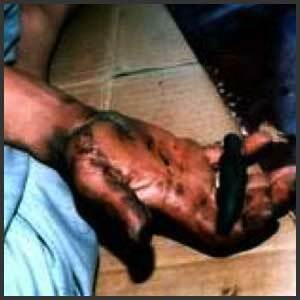 Brush off any foliage or debris from hands as soon as it sticks so the resin remains reasonably pure. To remove the resin from hands, rub your palms together so resin clusters together into sticky little balls. At first the resin will ball will up relatively quickly. Lump the balls together to form a single piece. Use this piece to rub on resin that is still on your hand to help remove it. If hands are moist or sweaty, soak up moisture with a paper towel before removing hash. Once you have collected the hash, knead it in your hand until it reaches your desired consistency. Hand rubbed hash is best enjoyed within a few weeks of collection. Collecting hand rubbed resin is very time consuming. 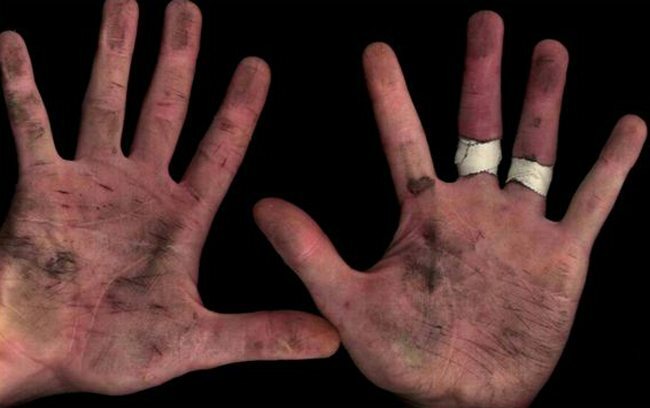 An average collector can rub all day and collect a mere five to ten grams!